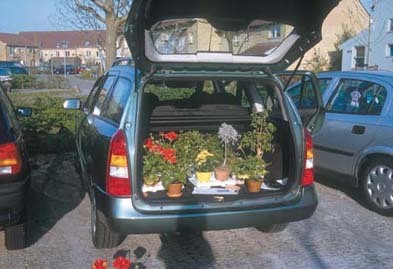 about the media Book with a collection of 94 plants borrowed from private window-sills in Arhus. about the project ‘Window-sill’ is a collection of 94 plants borrowed from private window-sills in Arhus during the summer of 1998 and on Amager in the spring of 2000. 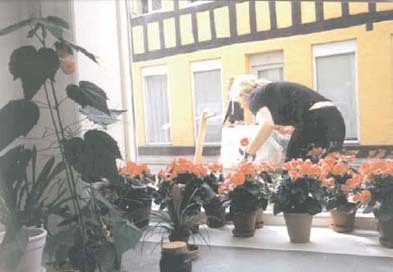 The artists visited people in their homes and asked if they might borrow a pot plant from their window-sill for an exhibition. In return they gave the owners in Arhus a pink begonia and the owners on Amager a red geranium. During the visits they talked with them about their plants, and their comments and stories were subsequently presented together with the collection of plants. Afterwards, they returned the plants to their owners, and the collection now consists of the edited text of the interviews and the photographs of the pot plants they originally borrowed. about artist and participants Sofie Thorsen lives and works in Copenhagen and Vienna. She studied at Det Kongelige Danske Kunstakademi in Copenhagen from 1995 to 2001. Since 1997 she collaborates with Elsebeth Jørgensen, and with Jeppe Hein and Lilibeth Cuenca she founded the exhibition forum OTTO in Copenhagen. Observation, research and documentation play a very important role in Sofie Thorsen’s work. Her projects explore the social aspects of architecture, its functions and structures. The artist collects materials and conducts interviews with the inhabitants of selected housing districts and estates. For the last several years Thorsen has presented her projects as narrated slideshows and detailed drawings of interiors. For her project titled ‘Reader’ (2000), Thorsen interviewed visitors to the main public library in Copenhagen and subsequently visited her subjects in their homes. She then created a series of sixteen drawings depicting the private spaces within which her subjects settle down to read. She supplemented these drawings with quotes from the interviews and posted them on bulletin boards within the library building. Thorsen is currently working on ‘Village fig.’, which explores the formal evolution and transformation of the meaning of suburban housing districts in Europe and South America. Elsebeth Jørgensen also lives and works in Copenhagen. She recently exhibited her work, together with Pia Ronicke, in Tate Modern. Jørgensen spent time working with the community of Huntly, a small town in North East Scotland.